What is the meaning of "See Naples and Die"
You have no doubt heard the phrase, “See Naples and Die,” or “Vedi Napoli e poi Muori.” I too, am familiar with it, and have read various meanings, but since I am exploring this third largest city in Italy with Tina from Discover Napoli Destinations. I asked her for the meaning. As a local Neapolitan, born here, Tina explained to me the true meaning of this well-known quote, which became famous during the reign of the Bourbons. I was convinced that was the meaning so I am glad that I am finally seeing the best of Naples. I actually regret listening to the advice of Rick Steves, when he wrote in his Italy guide to stay in Sorrento rather than Naples. I also love Sorrento, but he really did a disservice by focusing on the perils of traveling to Napoli. With almost a million people inside the city limits and many more in the surrounding provinces, Naples is similar to New York City, Rome, London, Paris and every other big city, where you must be vigilant for pickpockets and minor crime. For all these years I avoided coming here and now realize what I have missed. I will be writing a letter to Rick Steves next. If I can advise anyone visiting Italy and particularly southern Italy, I would say not to miss this amazing city in Campania, on the Gulf of Naples and the Mediterranean Sea. The history is rich as is depicted in the churches, museums, and monuments, and there is so much more. In the four days i have been here, and some of it has been on my own, I have never felt afraid and have thoroughly enjoyed interacting with the Neapolitan people. They are full of life and passion, as I experienced at the marketplace as the vendors yelled out to the customers to encourage them to buy their wares. They are friendly and eager to help, as many generously provided me with directions by walking part way down the street to show me where to go. They were pleased when I communicated in Italian with them and they always smiled. The food is another entire subject but the best margherita pizza is here, as well as some of the best chocololate and traditional Neapolitan pastries, such as sfogliatelle, biscotti mandorle alla Napolitana, baba, pastiera, zeppole, and much more. Does Naples have problems? Of course. 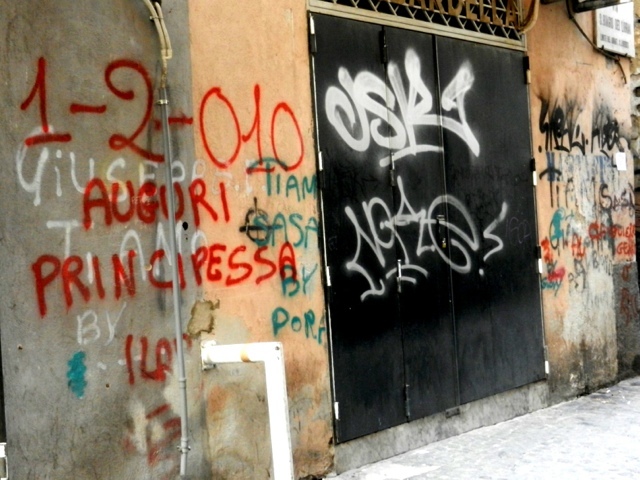 Is there graffiti in Naples? Yes, I guarantee you’ll see it. Are parts of it dirty? Yes, but I saw very little of that actually. The Toledo Metro station which opened two years ago has been voted the best in the world; it is spotless as well as beautiful with its blue water water theme. I was impressed. I have seen a lot here but there is still more to see and do, so I know that I will be back. How can I ever thank Tina enough for being my personal guide here? She really is the best! Unfortunately Tina no longer works as a travel advisor, but I am so fortunate to have had this opportunity to meet her in her beautiful city. 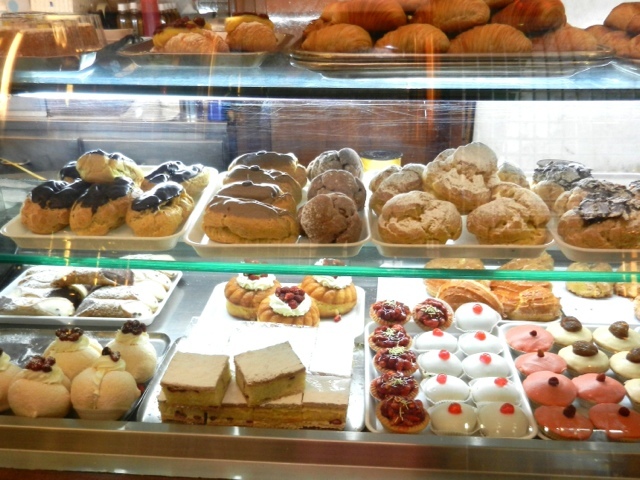 I can truly say that I am now in love with Napoli! If you enjoyed this you might like my latest book, Colors of Naples and the Amalfi Coast, available on Amazon. My husband and I loved Napoli! I’m glad we didn’t listen to bad advice either. What a vibrant, lively city! Your trip notes bring back many positive memories I have of Naples. Despite our limited Italian skills, my partner and I spoke with many Neapolitans on public buses and the subway. The exchanges were friendly and open. I pity Rick Steves! Margie has a well tuned pen and by the time she is through explaining his mistaken impressions to him he will be ready to hang up his passport! So glad you enjoyed your visit to Naples, Margie. 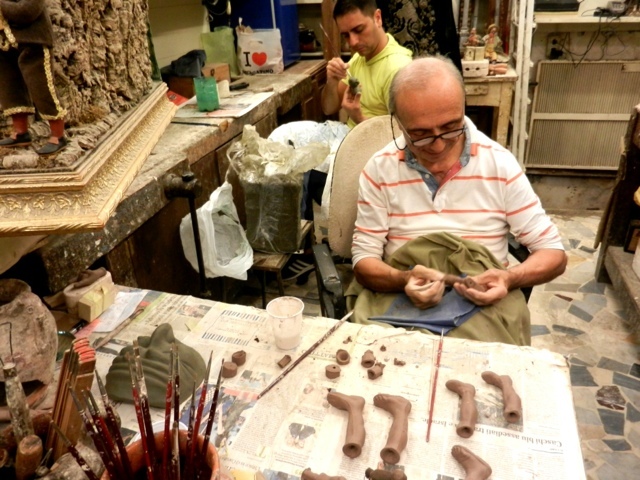 I’ve been to both, but I must say that I prefer Sorrento for beauty of the town, the food, and the artistic craftsmanship. 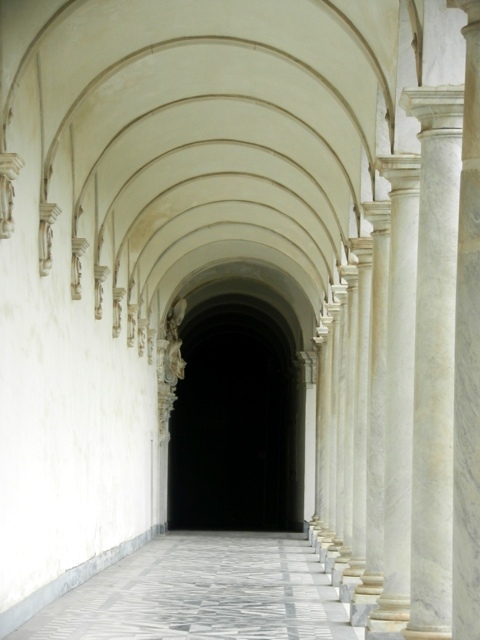 When I was in Naples, we experienced several small earthquakes – not so much fun. 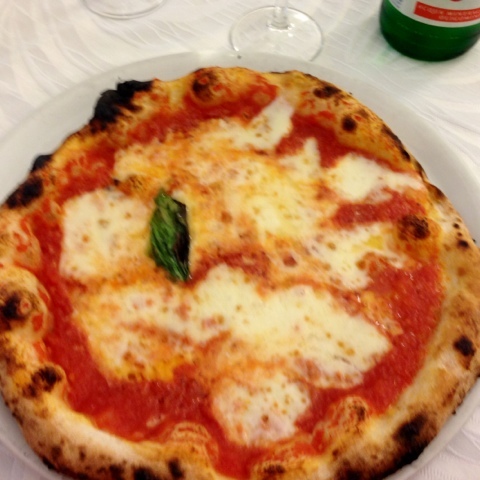 But having a good guide to Naples is a great idea – lucky you! Don’t all cities have dirty and often parts that we don’t want to like others to see?. Your pictures show a realistic place of beauty normalcy . 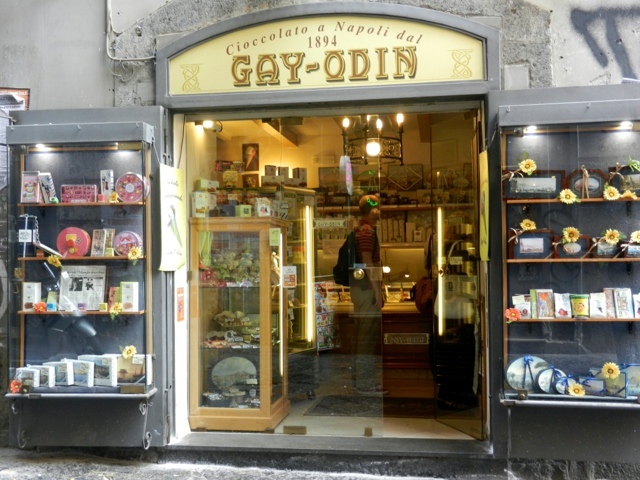 I took a sourthern Italy Rick Steves tour in 2012 and we DID stay in Naples. 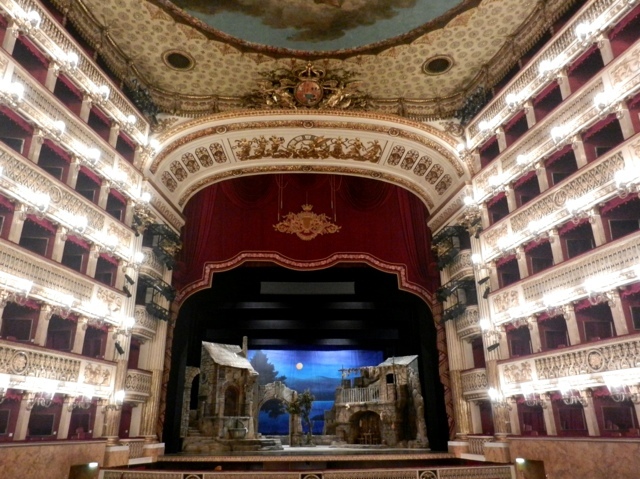 Perhaps you read an older version of his tours because he no longer discourages Naples at all. We stayed right in the center of the city and enjoyed time on our own to wander and discover Naples as well as had some quality time with a hometown guide. 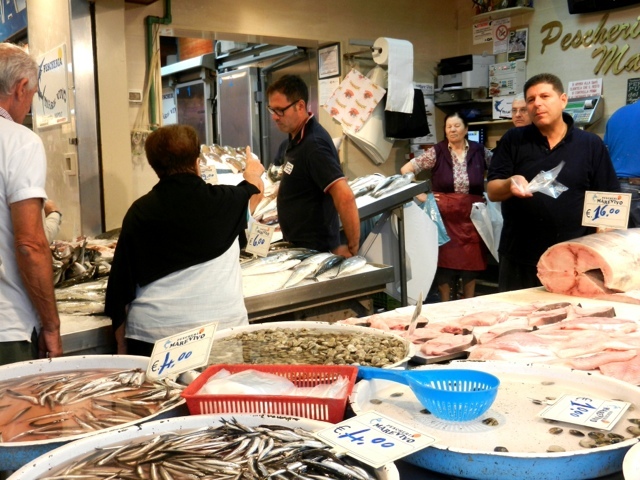 I never felt any fear in Naples and neither Rick Steves nor his guides expressed that opinion at all. 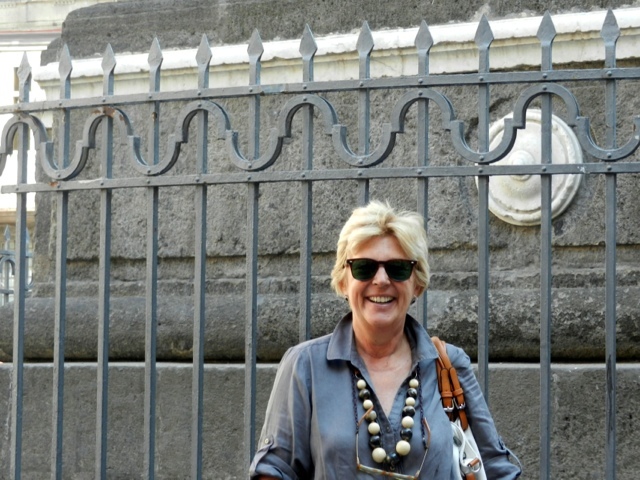 I long to return to Naples– absolutely loved it there! Thank you…my paternal grandparents were from a town just outside Naples….Marigliano…so to feel the soul of Naples is a gift! Thnx! At last you went to Napoli! I knew you’d love it! This city completely stole my heart during the 9 months I lived and worked there. It’s one of the most amazing cities in the world! I can’t wait to visit there again. Thanks Dani – yes I now know why you love Naples so much…I am so glad I had 5 days to spend there. And I definitely will be back! Any city is unique and Naples takes that to a different level. My favorite haunts are underground, buried in the city’s soul. Beautiful post, Margie, i love it! Thank you so much Antonella. I like to write about the good things in Italy and not focus on the negative. I realize life is not always the best but there are plenty of wonderful things in Campania!! 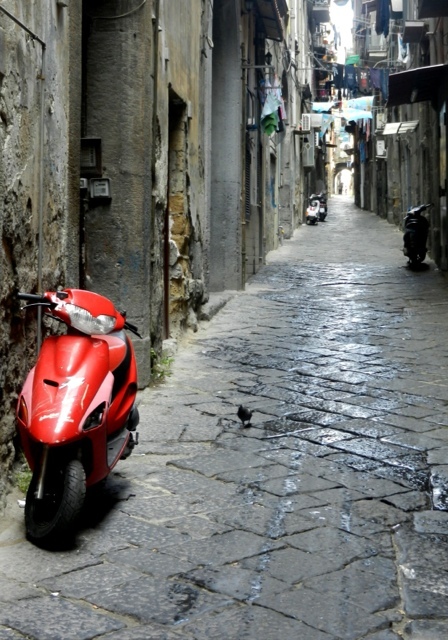 Naples is one of the most beautiful city in the world, but people know it not as do should do. My wife and I lived on Via Posillipo back in the 50’s for almost 2 years. Our first daughter was born there so we have many happy memories of the city. Thank you Paul…How wonderful for you and your family. That area is beautiful…I hope you can get back there sometime soon. Thanks for taking time to share your experience. Oh my! I ADORE Naples too, have been her several times and still not seen all her jewels. Sorrento is pretty. 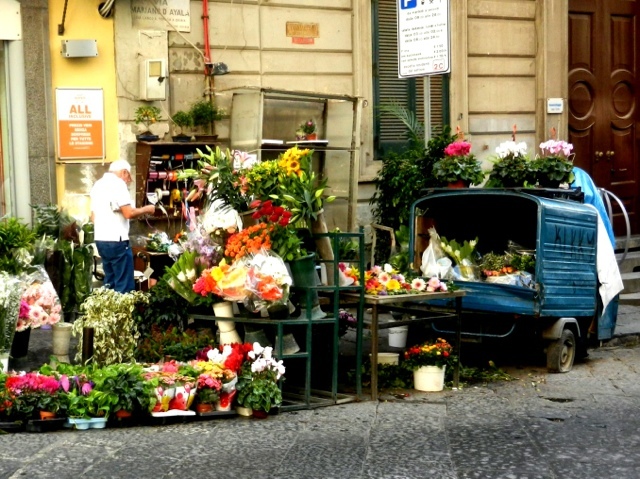 but Naples is a big city with so much art & history, as well as thronging human everyday life. If I had to choose one thing that so far left me gob-smacked & transported, it would have to be the Veiled Christ in Cappella Sansevero – divinely inspired, incredibily beautiful and made in the 1750s without the aid of modern technology… I could barely speak after my viewing of it. I also tried the deep fried pizza – and discovered happily that there is an art to frying I have never mastered. The temperature has to be exactly right to seal the food, thereby allowing you to eat the whole delicious thing without getting oily fingers. That too left me amazed. Now I am left wondering why I’m not back in Naples right now. Thank you Margie! Shame on me if I die before visiting Naples. I will visit even if I have to walk there from Parma.